grandma's cookie jar: Let's Make Doughnuts . . . Tomorrow is National Doughnut Day! Let's Make Doughnuts . . . 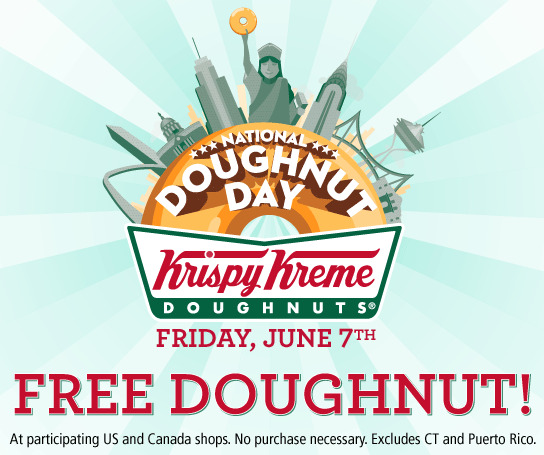 Tomorrow is National Doughnut Day! When I was little my grandma used to make homemade doughnuts! I loved her doughnuts, so today I'm sharing her recipe with you! Heat oil in 2qt pan to 375 degrees F.
Add flour, sugar, salt, baking powder, cinnamon and nutmeg. Mix in butter until crumbly. With floured hands, lightly knead the smooth dough. Turn onto floured board or counter. Pat dough into 1/4 inch thickness and dip either doughnut cutter or two biscuit cutters in flour to cut-out doughnuts. Carefully drop doughnuts into hot oil, only a few at a time. Fry , turning once, for about 3 minutes or until golden brown. Drain on prepared paper towels. I have a set of Mini Noah's Ark Cookie Cutters which I like to use when I make doughnuts . . . they give me small, animal-shaped doughnuts which certainly add to the fun! Enjoy! Sounds delicious! I love donuts.